يقع فندق Strahan Village Hotel، المصمم ليناسب كل الضيوف سواء كانوا من رجال الأعمال أو السياح، في مكان ممتاز في أحد أكثر المناطق تفضيلاً في Strahan. يمكن من هنا للضيوف الاستمتاع بسهولة الوصول إلى كل ما تقدمه هذه المدينة النابضة بالحياة. إن سهولة الوصول من الفندق إلى المعالم السياحية الشهيرة الكثيرة في المدينة كمثل شركة مسرح راوند إيرث, Wilderness Woodworks, ‪Morrisons Huon Pine Sawmill‬ هو استثنائي بحد ذاته. استمتع بالخدمات الراقية والضيافة التي لا مثيل لها بهذا الفندق في ستراهان. يقدم هذا الفندق العديد من الخدمات الكفيلة بإرضاء أكثر الضيوف تطلباً. لقد جهزت هذه الإقامة الفندقية بعناية فائقة لتوفر مستوى عالي من الراحة. في بعض الغرف يجد النزيل تلفزيون بشاشة مسطحة, حوض الاسترخاء, غرف لغير المدخنين, مكيف هواء, تدفئة. سواء كنت من محبي الرياضة أو كنت تتطلع لتفريغ عناء نهار صعب، ستجد خدمات ذات مستوى عالي بانتظارك كمثل حديقة. مهما كانت أسبابك لزيارة ستراهان، فإن Strahan Village Hotel هو الخيار الأفضل لإقامة مثيرة وممتعة. 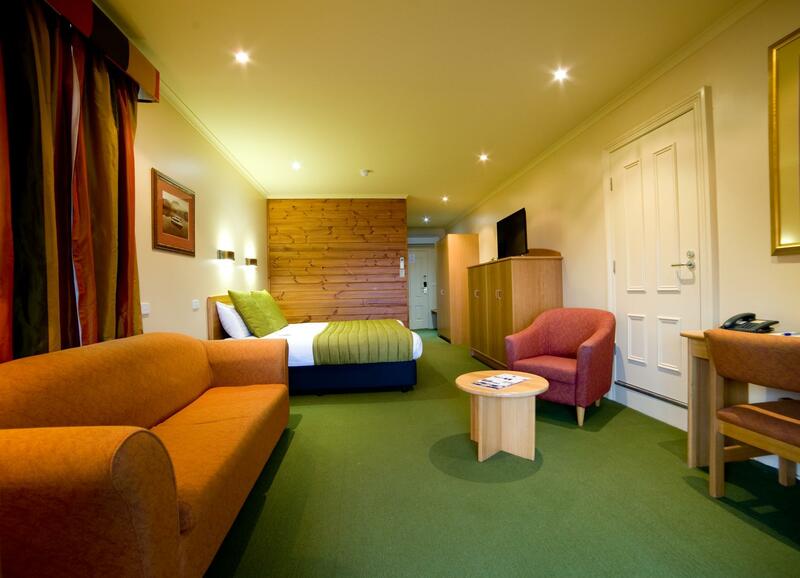 This is a tidy budget accommodation in a great location. The beds are firm like they’ve come straight out of the 70s. Staff perform at a reasonable minimum standard, though don’t even attempt to try out the Restaurant Buffet, 42 degrees, without a booking, the staff member in control will not show any latitude or hospitality. Don’t think we missed much though, as the people using their hands to help themselves from the buffet was enough to put anyone off. Walls are thin, so be prepared for an early morning wake up too, especially if there are any Harley Davidson riders in the vicinity. No air conditioning either. For all the negatives this is still a reasonable cheap accommodation option in a great location. Spacious and cozy room. Silent and nice location which situated at city centre and you can easy to find a car park. Fantastic sea view. But low speed wifi. Hotel wrongly charged my previousl cancelled room. Both room and bathroom are spacious and clean. Linens and toiletries are good. It is one of the single storey terrace units at the hilltop. Not impressive at all from the outside, but inside the room, it is well appointed. Check-in is at the reception office at the foothill at one end of the town. Better to have a car, otherwise , there are a few flights of stairs to climb. Car can be parked in front of our unit. The cruise ships(red and white) are both anchored in the centre of town, a short walk from the hotel reception office. As we are taking the cruise, the location of the hotel is great as it is just a 5 minutes walk to the jetty. Highly recommended to stay here if taking cruise. Walking to the town is just 5 minutes too! Location, wide room choice, good service. 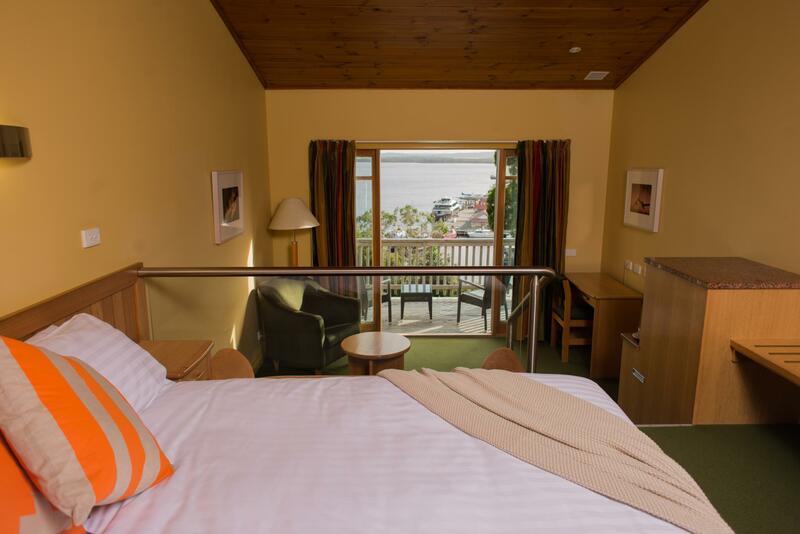 Pretty well all the accommodation in Strahan is owned by the RACV, so there are limited options - however, the Village Hotel has multiple rooms in different styles and locations, ranging from historic cottages on the waterfront to modern hilltop units. We stayed in one of the latter and loved it - lots of space, well furnished, and great views from its own private terrace. But there are far cheaper options in motel type units further back. Given the range of units in various locations there is no room service available, and the slow speed of the inadequate internet connection makes it virtually useless. The dining room has views to die for, with OK food if you like buffet meals. If you don't the village has lots of other options, all within a short walk. 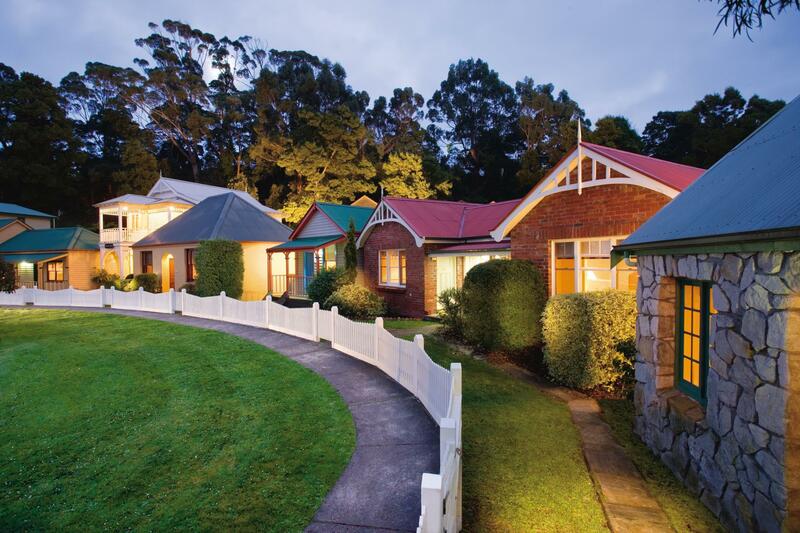 We had two couples a nice stay despite the cold air outside our rooms in Strahan. The heater works fine and deco in the room was just about the best among the rooms we stayed so far in Australia. I'll definitely recommend this motel to our friends. The room is spacious with big bathroom. The hillside rooms have great view to the Gorden River. Balcony/Front yard is big and brightly lit. Dining had to be reserved in advance. The restaurant 42 have mediocre varieties for buffet - taste is good. Walking distance to everywhere. 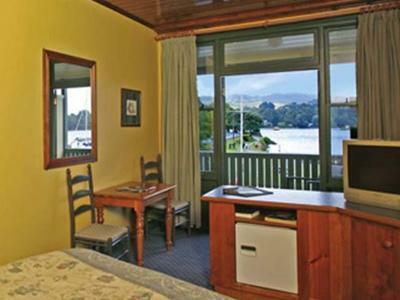 Strahan Village Motel is situated right in the heart of the small, picturesque village of Strahan. Most of the rooms sit on a hill overlooking the bay and are motel style. They have all the amenities, are spacious, comfortable and a very good place to stay. Very helpful staff and a lovely outdoor sitting area. 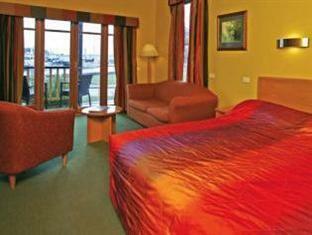 The hotel is located on top of a hill overlooking the bay and harbour. We joined a cruise to Gordon River and the cruise pier is just below the hotel within walking distance. 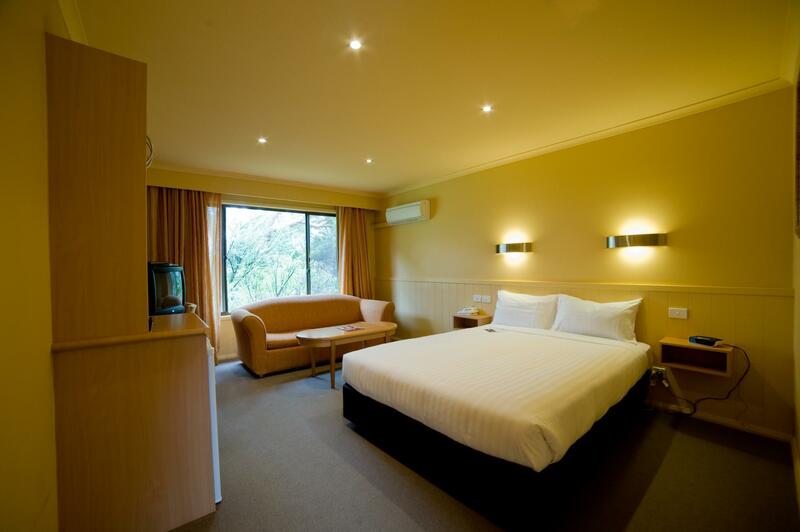 The room is very nice and clean, very large window opening to a garden outside.. The restaurant and bar provide good food and wine at a reasonable price. Ideally located for river cruises. Hotel is in hillside so lots of steps to negotiate (though possible to drive between levels). Excellent view from restaurant at breakfast though dinner choice was a buffet and not to our taste so we ate at Risby Cove restaurant which was excellent. The hotel has a variety of accommodation types, but our room was in an old building above the shopfronts right on the wharf. A bit dated, but clean and has a view of the water. Well located and good stay overall. Parking is slightly limited. Clock radio in room made buzzing noises throughout the night - quite annoying. TV was a small 4x3 CRT from the nineties: - considering the cost of a LCD TV these days, this was totally unacceptable (image ratio was all wrong, everyone was tall and skinny). Room needs to have hook(s) put in the bathroom - nowhere to place/hang anything. Excluding these issues we thought the room was good value for money. We liked this hotel. 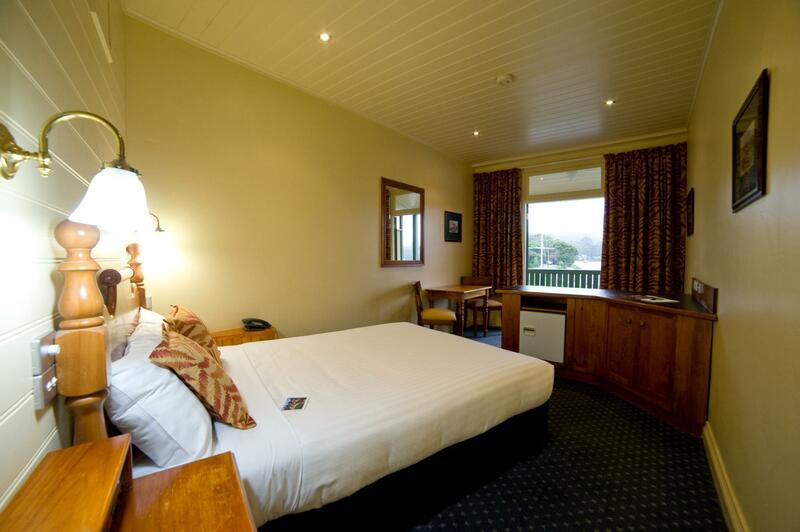 A big spacious apartment style room with well appointed bathroom, bedroom and a balcony. It overlooked the jetties and The Esplanade so most of Strahan tourist life. It also had direct access to the local hotel where there was a very good restaurant. A stones throw from the Gordon River cruise terminal (and souvenir/local wood craft shops if that's your thing) and a short drive from other scenic spots. Receptionist was pleasant and friendly. My room was clean and all amenities were adequate. Would highly recommend people here. You also get 15% off Lady Jane II boatcruise if you stay in Strahan Village. Only problem was no free Wifi, and expensive to buy on an hourly basis. Have travelled extensively overseas and always free Wifi. If accommodation in terraces with water views on street level, then you have to walk up 85 steps to breakfast! !